Entering into the infinitely enchanted ether & sacred realm of Jepeto Solutions; press photo courtesy of the band/Nicey Music. Before we present the world premiere of Jepeto Solutions’ wonderful & wild debut single “Little Women”, we would like to reflect briefly on the context & circumstances that have brought us this gift: First off as we glance back on the trying year that was 2016, we saw the formation of Nicey Music along with the OSR Tapes closing up shop. Creative cult pop powerhouse Christina Schneider released one of the best albums of 2016 with ANTIFREE made with fellow friends as CE Schneider Topical who has now re-banded & re-branded her new musical endeavor known as Jepeto Solutions. Proudly presenting the first listen to Jepeto Solutions’ forthcoming self-titled 7″ available February 3 from Nicey Music—Christina along with co-songwriter & bassist Zach Phillips, lead guitarist Quentin Moore & percussionist Derek Baron continue the tradition of creating their own future classics through a post-modern nu-pop lens where pastiche tropes meet original audio essences. Like those psychotropic tropes that beguiled like none other on Antifree, Schneider has a knack for finding those particular melodic rhythm post-structural arrangements where every chord and key change hangs off the feelings that flow freely in a stream of hazy, hedonistic sentiment & thought. Christina & company create the feeling as if you fallen into a Louisa May Alcott novel where you observe the worlds of the sisters Meg, Jo, Beth & Amy March as if on a magical flight through traditional literary novels & tales where the vintage & modern canons feel as if they are well alive in a contemporary fashion. But even this metaphoric approximation is one aspect of JS’s “Little Women” where Christina’s soft, slightly sleepy & surreal delivery (like a voice that materializes like a Cheshire Cat from another world) sends out a message of hope to the women who “can write the books” with encouraging yet splendidly weird word combinations of “little women it’s up to you, you can write the songs, you can be myself, you have different looks…” The single itself is strung out of a soft pop styled masterpiece, where the serenity is populated by some of the most odd twang & flanging chords where the every unique sound is neatly tethered to every bar & beat. And after the two & half minute electric-symphony has ran it’s course you might very well find yourself in a world of wondrous, pure inspiration—sprung from Jepeto Solutions’ own infinite, collective imaginations. Christina: I wanted Zach [Phillips] and Quentin [Moore] to participate so we ended up doing some drawings together. We were inspired by your first word: ILLUSTRATE! 1. Illustrate for us the transition process from C.E. Schneider Topical to Jepeto Solutions & how you all have creatively & personally been affected by the moniker switch? 2. 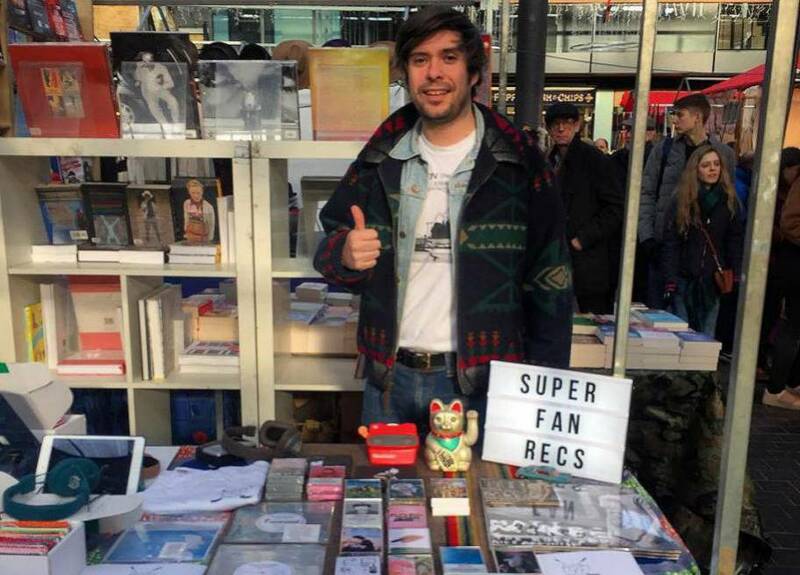 Tell us about the process of recording your debut 7″ for your Nicey Music. 3. In what ways have your approaches & synergies changed too along with the title shift? 4. Story behind the name Jepeto Solutions? 5. What is everyone really, really into right now in terms of tunes, films, books, etc? 6. 2017 focuses & challenges? Jepeto Solutions’ debut self-titled 7″ will be available February 3 from Nicey Music. cover of Jepeto Solutions’ Nicey Music self-titled 7″ illustrated by Quentin Moore.